Bask in the sophistication of Playa Blanca. Once a small fishing village, this ideal destination now boasts beautiful beaches and year-round sunshine. The captivating beauty of Lanzarote beckons travelers worldwide to explore the sandy shores of this volcanic island. The secluded bays offer protection from the wind and provide the best location for water sports and activities. Visit the Marina Rubicon to dine in the Café del Mar overlooking the harbor, or sample the wine and tapas at Vivo Blanco. You can find upscale fashions and boutique shopping here as well.Situated on the southern tip of Lanzarote, near the quiet town of Playa Blanca, Jardines del Sol is built in the style of a Spanish pueblo blanco, or white village. Spacious and inviting accommodations offer modern, well-equipped, detached bungalows surrounded by well-manicured gardens and a beautiful pool. After a day of exploring the sights return to the sumptuous comfort of your private retreat featuring well-appointed amenities. Enjoy the on-site activities including a pool table, mini-golf, table tennis and bike rental. Our spacious 2 bedroom bungalows feature a master bedroom with a well-appointed bathroom and en-suite shower room, spacious lounge and dining area. The fully equipped kitchen offers a microwave, oven, refrigerator/freezer and many other modern appliances. Additional in-room amenities include a television, DVD player, telephone, safe, alarm clock and lovely terrace. These brand new 3 bedroom villas are both spacious and stylish and feature two bathrooms, open plan lounge/diner plus well-equipped kitchen, laundry room and private garage. These brand new 4 bedroom villas are both spacious and stylish and feature three or four bathrooms, lounge, open plan kitchen diner plus a laundry room and private garage. Directions to Resort: When leaving the airport take the exit for Yaiza-Playa Blanca. You will go through Tias, Macher, past Uga and Yaiza. When you arrive at Playa Blanca, you will come to a roundabout, just before a petrol station. Take the second turning to the right along Avenida Faro Pechiguera (please note that the first exit is the road that runs parallel to the road you have just come from, you need to take the turning before the road that runs past the petrol station). Continue on this road over two small roundabouts. You will find the resort to the right of the third roundabout. Journey time is approximately 35 minutes. There is also another resort in Playa Blanca called Jardín de Sol, so if travelling by public transport please advise driver that the resort is in the area on Montaña Roja to avoid any confusion. Beauty Treatments. Click for details. As part of our continuing efforts to maintain and enhance the resort, we would like to inform you that our children swimming pool will be closed from the 6th of May 2019 until the 10th of May 2019 due to refurbishment. Part of the Solarium will be closed and equipment and materials around the swimming pool area may be visible. We will make every effort to keep the common areas clean and minimize service disruptions during this time. We sincerely apologize for any inconvenience it may cause you and thank you for your kind understanding. In accordance with the Spanish law, the use of determined inflatables will be restricted for safety reasons. Sorry for the inconvenience this may cause. We invite you to dine with us on site at BAILY BAR 2 Restaurant & Bar. Step into the welcoming atmosphere of this family friendly restaurant featuring a full entertainment program several nights per week and an international menu that is sure to please the entire family. Savoury dishes and delicious snacks are available for dining in, or to take away. We even offer a pool side bar so you can enjoy our flavourful fare while soaking up the sunshine. Are you celebrating a special occasion? BAILY BAR 2 Restaurant & Bar would love to help you make your day memorable with a special menu and a complimentary bottle of wine. Book a table for two through the Diamond app and enjoy 1/2 litre of sangria free. Book a table for four through the Diamond app and enjoy 1 litre of sangria free or 4 glasses of cava. Enjoy our breakfast board which includes English breakfast, coffee and orange juice. Only €6.50. Enjoy our half board offer which includes English breakfast and dinner meal chosen from our special half board menu. Only €30 (adults) and €15 (children) per day and person with a minimum booking of 3 days and paid directly to the restaurant. Enjoy our full board offer which includes English breakfast, lunch and dinner meal chosen from our special full board menu. Only €50 (adults) and €25 (children) per day and person with a minimum booking of 3 days and paid directly to the restaurant. Tuesday - Live music from 8:00pm. Friday - Live music from 8:00pm. Saturday - Live music from 8:00pm. Prior to checking in: Anti-Social Behaviour: Any anti-social behaviour that affects the family-friendly atmosphere of the resort will not be tolerated. Resort management reserves the right to refuse check in or terminate your stay were any guest(s) is displaying abusive or disruptive behaviour that could cause harm or a disturbance to other guests or staff including damage to the property or affecting the enjoyment of guests. In the event such action is taken, resort management will have no further liability or obligation to you and no refunds will be given. Additional Charges: Meals and other extras (incl. use of leisure facilities for Hotel Guests) are not included in the room price however they may be available to purchase at the resort. Only registered guests are permitted to use the leisure facilities. It's recommended you take out travel insurance for both domestic and international travel to cover you for any medical emergencies and/or loss incurred due to being unable to occupy your accommodation. Accessibility Requests: If you have any accessibility requirements or needs that you wish to discuss, please contact the property as soon as possible. Adapted units are assigned on a first come, first serve basis and are subject to availability. The resort operates an on-going refurbishment programme. Refurbishments or building work may be taking place throughout the year. While the hotel/resort endeavours to keep noise and disruption to a minimum, there may be some disturbance. Some resort facilities may be withdrawn for routine maintenance or be subject to seasonal availability and provision of the facilities cannot be guaranteed. Please check the resort information page for any important resort notifications that may affect your stay. Free Wi-Fi is available at the property. Highlights: The resort boasts blue cloudless skies and sunshine virtually all year round. Relax by the pool, tour the island and spend some quality time with your loved ones. Let us take care of you and you will be return home re-invigorated. There are some walkways and paths with slight inclines however they are not considered difficult to negotiate with a wheelchair. There are ramps to access all communal areas. Flat access on one side and accessed by ramp on the other side. Automatic double doors on one side and doors that can be easily opened if required on the other side. Accessed via swimming pool – one level. Accessed via Reception – one level. Located at the rear of the resort - one level. By the pool area, accessible courtesy room – one level. One accessible parking next to every accessible unit and also one accessible parking in front of the terrace of every accessible unit. All areas within the accommodation and exterior are accessible to a wheelchair user or a guest with a severe reduced mobility. They have electric beds, adapted bathrooms, special high backed chairs and kitchen unit/work surfaces are lowered or can be pulled out for ease of access for wheelchair users. We offer 2 accommodations in total: 2 two-bedroom accommodations. All 2 bedroom units are accessible by no more than 4 steps. 3 and 4 bedroom villas are non-accessible. Please follow the link below to our Accessibility Aid Catalogue with a wide range of complimentary items available to lend to members, owners and guests for your comfort during your stay (subject to availability). SADIV is a company that offers tailor-made excursions in an adapted vehicle and assisted by their own qualified staff. 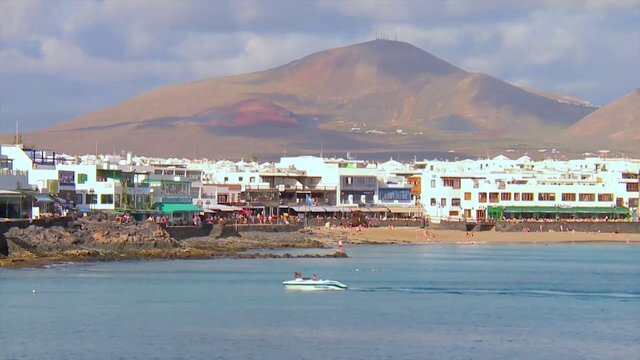 They can take guests to all the main tourist attractions in Lanzarote, depending if the characteristics of the venue suits the disabled person. Mirador del Rio - not all areas are accessible, uneven floor. Jardín de Cactus (Cactus Garden) - uneven floor. Los Hervideros - stone floor, very uneven floor. Jameos del Agua- only accessible on the upper floor, uneven floor. Montañas del Fuego (Fire Mountain) - bus ride. They do have an electric crane to get to the bus. The "experiments area" is not accessible but they can watch them from the distance. All commercial areas and local beach are wheelchair accessible. Almost all of them are located about 2 or 3 km from resort. Bus service is wheelchair accessible.